Hello hello lovely Hamilton raccoons! We are pleased to announce that the most rad earth-healing activist and authour of Earth Repair: Grassroots Remedies for Detoxing and Healing Contaminated Lands, Leila Darwish, is coming to Hamilton’s North End for a workshop in our beloved poison forest. We’ve just finished her book, and are beyond blown away. Leila is bringing all her radical earth healing and oil-spill clean-up knowledge to Hamilton’s North End– a place overburdened with contamination, toxic waste, and an oil pipeline too. After Leila’s presentation, we will head outside to make rocking compost tea, learn how to inoculate damaged lands with healing mycellium, and even do a little of this mushroom magic in the area, (called mycoremediaton). -Space limited, first come first serve! Are you passionate about growing and gathering your own food and medicine, but are concerned that the soils in your community are contaminated by heavy metals or chemicals? Do you live in a place where industrial activity formerly occurred or is currently taking place and are concerned about the toxic legacies left behind? From transforming vacant lots and wastelands into urban farms, community gardens, and wild gathering spaces, to growing and gathering safe and healthy food and medicine in our backyards and wildlands, how can we work with the power of living systems to heal contaminated and damaged land into nourishing and fertile places once more? This workshop will explore some of the DIY ways we can work with the many micro-organisms, mushrooms, and plants that are the planets finest and oldest disaster responders, alchemists, and healers. Mycoremediation: Using fungi to clean up contaminated soil and water. Other topics that may be covered in the workshop include soil testing, contaminants 101, oil spills, protective gear and self care, detox, and herbal allies for grassroots remediators, frontline communities and disaster responders. 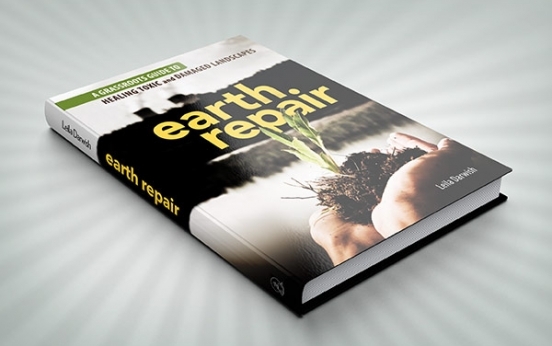 Welcome to the wild world of grassroots bioremediation and community driven earth repair. Leila Darwish is a community organizer, permaculture practioner, writer, urban gardener, and grassroots herbalist with a deep commitment to environmental justice, decolonization, and to providing accessible and transformative tools for communities dealing with toxic contamination of their land and drinking water.